Rent My Wardrobe is launching a brand new app in Dallas, TX and wants to celebrate with you! 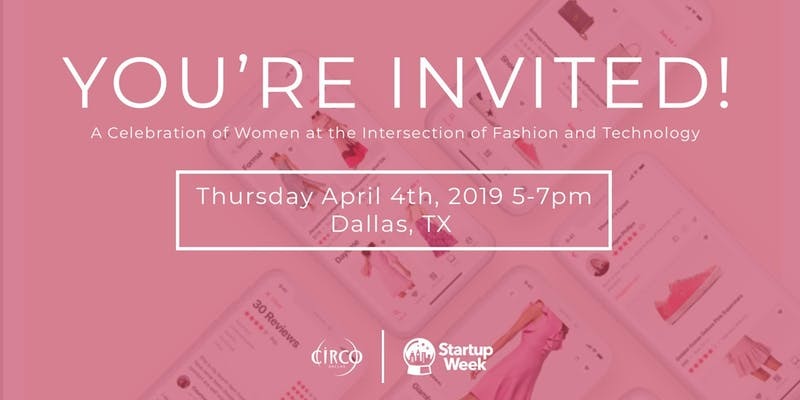 Together with Kameron Westcott, join us to mix and mingle with your favorite Dallas Housewives and fashion influencers during this Dallas Startup Week closing party! Download the app and add 3 listings to your closet to get an invite for you and guest. Email launch@rentmywardrobe.com when complete for guaranteed entry :). Rent My Wardrobe has partnered with Dallas Startup Week to bring you this event. If you are registered for Dallas Startup week and would like to attend this event, you must show your Startup Week Badge for entry. The Book a Birdie app is offering a discount for all attendees! Use code RMWLAUNCH to for discount on your hair and makeup!